Year 2009 has seen loads of Touch Screen Mobile Phones being launched and will continue to see a few more popping up before the year ends. Touch screen madness is getting too hot with so many devices out in the market to boggle the minds of the consumers. The touch phone battle is pretty huge with Samsung, LG and HTC being the most aggressive in the market, having a wide range of touch devices under their name. Sony Ericsson and Nokia seriously seem to lag behind, though they are trying to catch up with some promising products lined up. 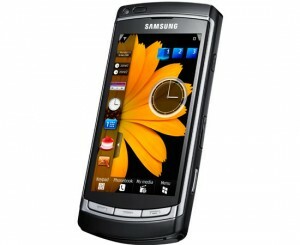 Here, we have a shoot out of some of the greatest looking and top performing mobile phones which flaunt a touch screen. Well, you will be still baffled with 5 choices, but these are the ones you must give a serious look at if you are planning to buy one soon. There is no denying that the iPhones have been influential to the mobile phone scenario as the iPods were for music. Apple was the one which indeed started the Touch Phone Revolution. Here we have the Apple iPhone 3GS which is the second update to the highly attractive and successful iPhone design, which has not seen a considerable change in the styling since its first incarnation. The ‘S’ stands for ‘speed,’ and indeed it is faster on all aspects compared to its predecessors and well, some of its competitors. With a 3.5” touch screen, the multi-touch input methods, the ambient light sensor and menus created with touch in mind we have millions of people wanting to own this device. The average 3.2 mega pixel camera for the exorbitant price tag may restrain you from buying it, as you can get equally good phones with more mega pixels for the same price or less. 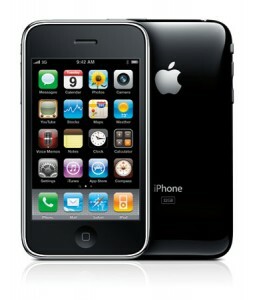 Check this for a deeper look at Apple iPhone 3GS. 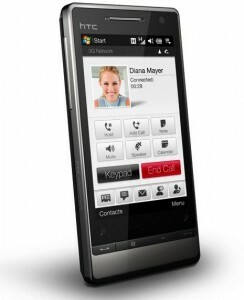 The HTC Touch Diamond 2 demonstrates the complete potential of what Windows Mobile-powered devices have. Just a small change in design of the original HTC Touch Diamond has resulted in a phone that is friendly and compact to hold. With a large 3.2” VGA display combined with a touch sensitive zoom bar below the screen, the Diamond 2 makes web browsing a pleasure. The TouchFLO 3D interface works like a wonder, making it easy to navigate through the device. Though it has a resistive touch screen, it is alert and responsive, reacting quickly to user actions. The Touch Diamond 2 is a complete multimedia device with 3G connectivity, built-in GPS and a 5 mega pixel camera to strengthen its stand. This is a great mobile that will remain future-proof for a long time to come. Nokia is taking Touch Screen Device seriously and Nokia 97 is its best entry till date. 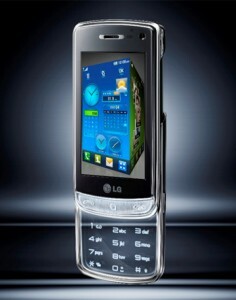 The latest flagship device, combines touch and a slide-out QWERTY keyboard to offer the complete experience. Nokia N97 features a large 3.5” touchscreen with feedback, a 5 mega pixel Carl Zeiss Camera with dual-LED flash, 32GB of built-in memory and a fortified A-GPS. The N97 flaunts live widgets on the home screen with feeds which can update news, weather and even Facebook statuses anytime. A full suite of software that enables writing of documents and viewing of spreadsheets and Wi-Fi connectivity completes the business side of it. What we have here is the ultimate phone from Nokia which has everything from GPS to Touch Interface, Entertainment to Business Tools and a hefty price tag as well. For a detailed review of N97, read this. As we see the manufacturers battle for dominance in all-in-one multimedia touchscreens market, the HD technology is now making its way into cellphones. The Omnia HD is truly the top phone in the HD Category as it does extremely well with video recording and playback. The 8 Mega pixel camera with a 720p HD sensor is great to fiddle with when cellphone cameras are generally horrible. It surely has the potential to replace your pocket camera. It is a tall phone sporting one of the largest AMOLED screen to have ever been integrated on a cell phone, measuring a whopping 3.7″. The Omnia HD also known as i8910, runs on a 600 MHz processor and a Symbian OS modified with TouchWiz 3D interface that results in a great experience which Nokia will envy of. The other impressive features are Wi-Fi with DLNA, HSDPA, A-GPS, Accelerometer, 16GB built-in memory and expansion slot to allow use of up to 32GB card. Samsung has managed to pack all these features in an impressive and thin 12.9 mm. body. Samsung Omnia HD is definitely a phone that will make history with its brilliant HD performance and as a reliable and handy A-GPS. With a long lasting battery to complement its extra ordinary performance, it surely is worth the money you will spend on it. LG Crystal GD900 proves all those people wrong who say style and substance cannot be one. This is a gorgeous looking phone, complete with awesome specs that will surely bring out the ‘wow’ expression from one and all. The never seen before see-through touch pad in addition to the touch interface is undoubtedly the highlight of the device. Any action results in a white glow that looks really fascinating, especially in the dark. Equipped with a 8 mega pixel camera, a 3” touch screen, HSDPA 3G connectivity, Wi-Fi, and the S-Class user interface, it is more than a great choice. Major let down is the lack of GPS, though it is made up for with cool features like gesture shortcuts and multi-touch input. For a 8 mega pixel camera, the images are a bit poor. Nevertheless, the LG Crystal is the perfect combination of performance and looks for those who demand more from a fashion phone. With a tempting price tag it can be an easy choice for the flashy types. That sums up our list of Top 5 Touch Phones, but it is very difficult to choose just a few mobile phones to put up in this list as we have too many good touch phones coming out every month. There are many phones missing in the list which are still worth considering like the Palm Pre, HTC Touch Pro, HTC Hero, Samsung Jet, Samsung Galaxy, Samsung Memoir, Samsung Star 3G, Samsung Pixon, LG Dare, LG Arena, LG Viewty, LG Cystal, Sony Ericsson XPERIA X1, Sony Ericsson Idou, and Nokia 5800. The N97 & the HTC Touch Diamond 2 should not even be in this list. 1st. Palm Pre-> 4th place for style. 2nd. i phone-> 3rd place for style. 3rd. HTC Touch Pro II-> 7th place for style. 4th. Any Palm Treo with Palm OS & Blackberry storm. both in 6th for style. 5th. Nokia E-71-> style 2nd place. 6th. LG Crystal GD900-> 1st place for style. Since when did looks count or size make a diference. what counts is ease of use & portability! it’s not a fashon contest. 5th. 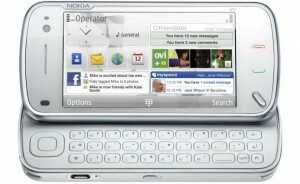 Nokia E-71-> 2nd place for style. Since when looks did or how thin a phone is make a difference? palm made plenty of beautiful thin phones in the past but realized What counts is ease of use & battery life. Rating a smart phone is more than just a fashion contest.